HOLLAND — A 49-year-old man from Morgan was taken to the hospital after a snowmobile crash on Tuesday. At around 9:00 p.m. the incident was reported on VAST trail 105, in Holland. Members of the Derby Line Fire Department located the male and transported him down the trail to the ambulance. 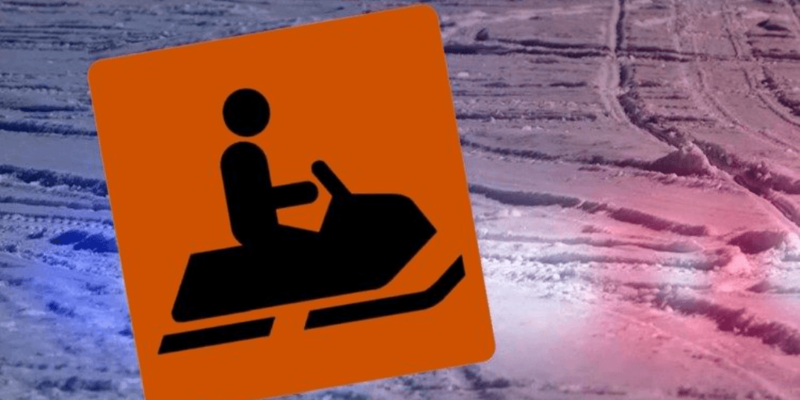 The operator of the snowmobile was identified as Brian Judd. According to the report, Judd was traveling east and was unable to maintain his lane of travel around a right-hand corner. He traveled off the trail and into several trees. Judd was transported to North Country Hospital. Police say the crash is still being investigated, and that no information about his injuries is available at this time. 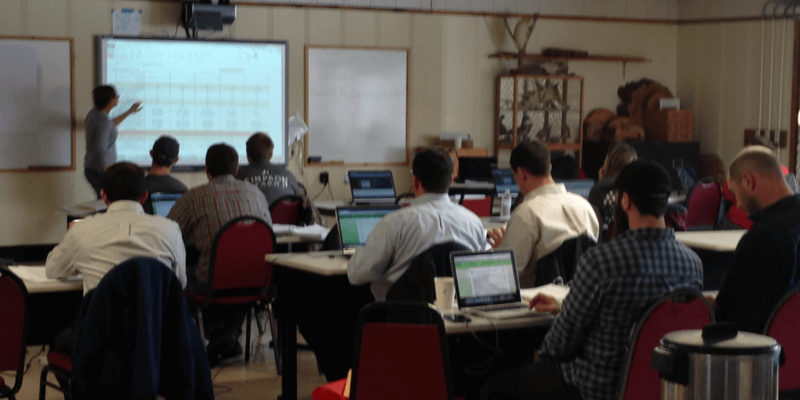 NEWPORT — Over six weeks this winter, eight NEK dairy producers who enrolled in the UVM Extension course, “Digging In – A Nutrient Management Course for Farmers,” wrote their own nutrient management plans (NMPs). 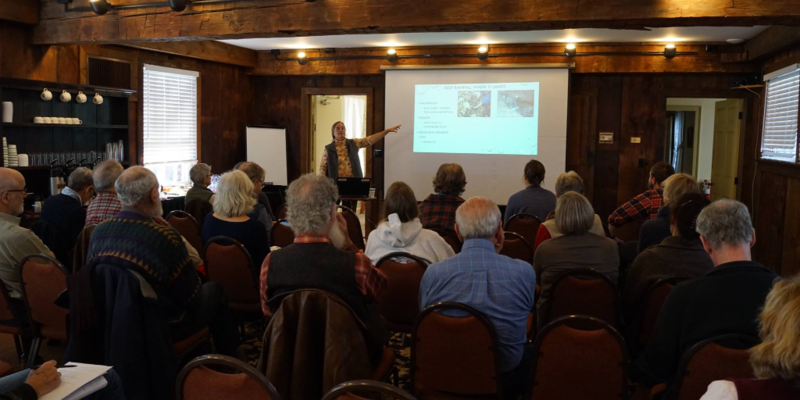 Farmers in the class, held at Sterling College in Craftsbury, received technical assistance from the Orleans, Caledonia, Essex, and Winooski Conservation Districts through a USDA Regional Conservation Partnership Program (RCPP) grant. Through the RCPP program, farmers are offered technical assistance in preparing a Land Treatment Plan (the foundation of an NMP), taking soil and manure samples, and one-on-one help throughout the UVM course. A nutrient management plan is a working document that combines scientific data with the farmer’s knowledge of their land to create a plan that determines crop needs and allocates nutrient spreading by field. The goals of a nutrient management plan are to improve soil health, maximize yields, improve efficiency, and minimize the impact on natural resources. The UVM Extension course includes lectures on soil science, crop yields, water quality and meeting the RAPs. The course also incorporates time for farmers to write their own NMP using the UVM-developed online goCrop™ software. Because a nutrient management plan is a working, living document, it should be updated yearly. To this end, the Orleans County Conservation District, in collaboration with UVM Extension, will be holding a free, one-day goGraze™ training and update class open to all NEK producers with a UVM goCrop™ account. This class will take place on Wednesday, March 20, from 10 a.m. to 2 p.m. at the Eastside Restaurant in Newport. Lunch will be provided, and the class will introduce participants to a relatively new addition to the goCrop™ software, goGraze™. The new software allows producers to create a grazing plan and keep detailed records throughout the grazing season. The format for the class will be instruction in the morning, lunch, and time in the afternoon for participants to work on updating their nutrient management plans or apply the skills they learned in the morning. Pre-registration is required. 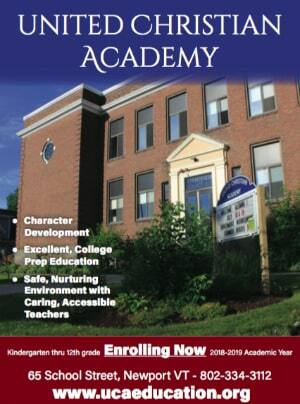 Contact Emily Irwin to sign up or with questions at 802-334-6090 ext. 7008 or emily.irwin@vt.nacdnet.net. 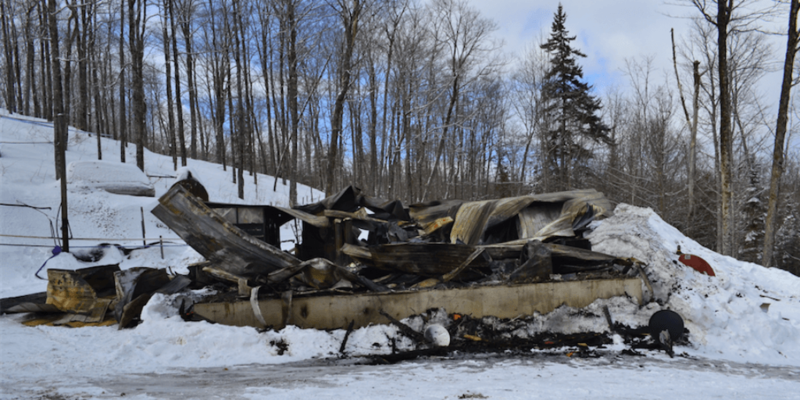 GLOVER — A sugarhouse was found destroyed by fire yesterday in Glover. The incident took place at 760 Young Road. Police say Merle Young Jr. arrived at the property at 9:00 a.m. to find the building completely burned. Young had been at the property on March 3 with family members attempting to thaw frozen water pipes. 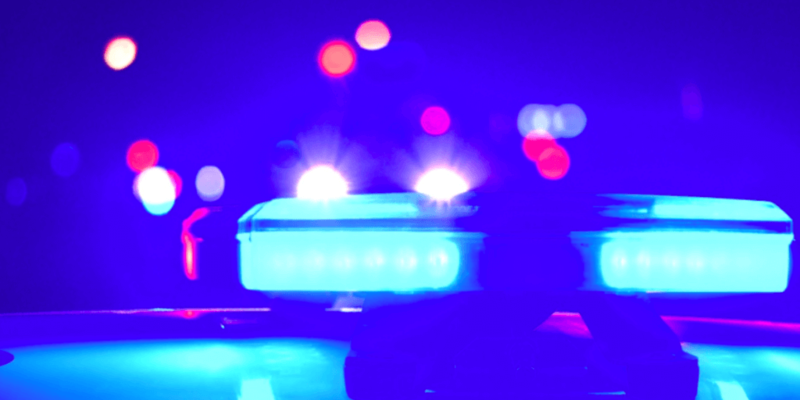 He left at approximately 7:00 p.m.
Police say during the night the building caught fire, going unnoticed and completely burning until it self extinguished. Glover Assistant Chief Jobe Breitmeyer contacted the Department of Public Safety Fire & Explosion Investigation Unit to request assistance with an origin and cause investigation. 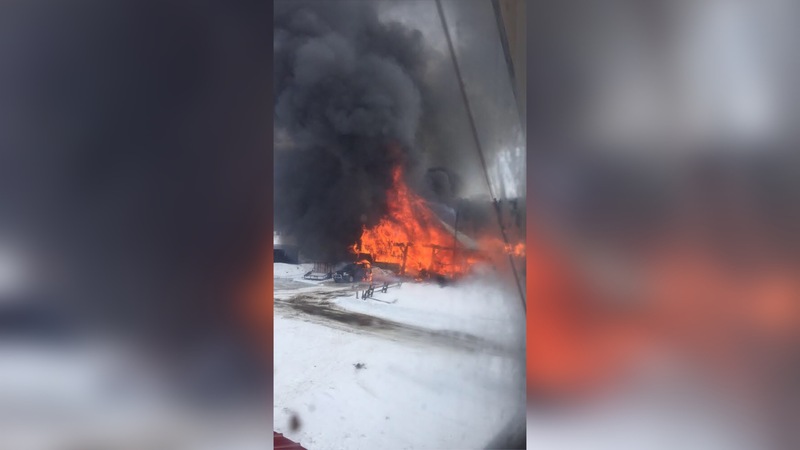 Authorities say the cause of the fire could not be determined because of the complete destruction and consumption of all combustible materials. Police say the fire is not considered suspicious at this time. 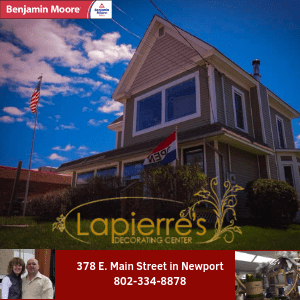 NEWPORT — Last weekend, Newport came alive with the Winter Swim Festival, Wright’s Ice Fishing Derby, and the Ryan Coulter Pond Hockey Tournament. Businesses reported seeing what some called a record week. Most restaurants had waiting lines and area hotels were packed. Darrick Granai from Newport City Inn and Suites plus Derby 4 Seasons Hotel cites the many events in the area as to why it was so busy. “There were hockey players in town for a tournament, the international swimmers, a fishing tournament, skiers, snowmobilers and fat bikers,” Granai said. “If we had more events, more often, we’d have this kind of business every week,” Granai reported. Also in the area were families participating in and watching the Rotary Basketball Tournament with teams from far and wide across northern and central Vermont, which contributed to the crowds. Steve Wright and crew at Jay Peak were working hard as Jay hosted almost 10,000 visitors Saturday between skiing, the water park, the ice hockey tournament, and Jay’s climbing center. With 10,000 visitors just twenty minutes from Newport, many businesses reported that a number of the Jay visitors came in and explored Newport and establishments on the Derby Road in the evening. Frank Richardi from restaurants Lago Trattoria and The Warehouse Pub said he was very happy with the business over the weekend. Getting a table on Friday night was tricky at some restaurants, and the crowds were larger Saturday. Jaspers Tavern had a full house of revelers, attached to the international swim, from mid-afternoon to closing. The fun party atmosphere in a traditional-style pub was enjoyed by the international crowd. The Eastside Restaurant and its Quarter Deck Pub were in full swing from lunch til closing with food, drinks, and entertainment. At the Winter Swim Festival, weather on Saturday was sunny with light winds and air temperatures in the upper 20s and into the mid-30s. Sunday was generally cloudy with a bit more wind and slightly lower temperatures which rose as the day progressed and, after the festival had concluded, turned to rain. DERBY — Jed’s Maple Products of Derby will be hosting their 20th Annual Sugar on Snow Party and Maple Open House on March 23 and 24 this year. The event will be held in conjunction with the Vermont statewide Maple Open House. 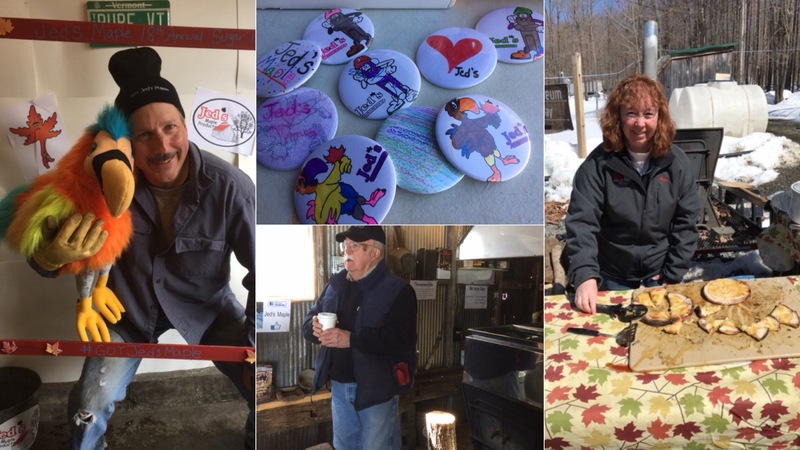 The Wheeler family says they are excited to once again open their doors to friends, family and the community to celebrate maple sugaring time in Vermont. Doors will open at 10:00 a.m. to 4:00 p.m. both days. This free family event includes sugar on snow, wood-fired maple pizza, maple specialty food sampling, tours of the eco-friendly sugarhouse and the maple museum. There will also be storytime with sugarmaker Steve, and lots of other activities. Most activities take place outside, so please dress accordingly for the weather. Jed’s Maple Products is a certified organic sugarmaker. They use high-pressure steam in their evaporator rather than wood or oil. The maple museum is housed in the sugarhouse that Steve grew up sugaring in and allows visitors to take a step back in time to explore the local area’s maple history. ‘Auddie’, the Jed’s Maple Bird Ambassador, will be making appearances both days! Jed’s Maple Products is located at 259 Derby Pond Rd. in Derby. 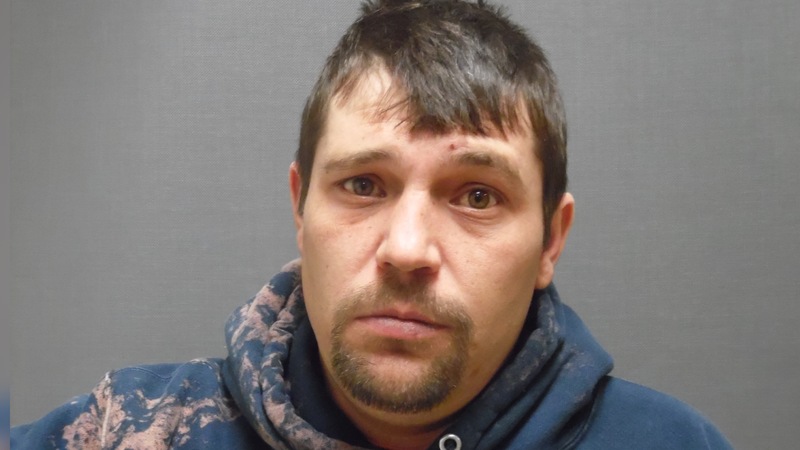 IRASBURG — A 33-year-old man from Irasburg is facing numerous charges after an incident that took place on Wednesday. Police responded to Simino Lane for a report of an escalating incident in which a man was intoxicated and fighting with family members. The suspect was identified as Joshua Hall. Police say Hall began shooting a shotgun at family members. State Police arrived at the scene moments later and led the victims to a safe location. According to the report, Hall was highly intoxicated and shot several shotgun rounds at the victims and at the dogs. Police began informing neighbors of the incident and contained the area. After speaking with Hall over the phone police were able to take him into custody after a short period without further incident. Hall was held at Northern State Correctional Facility and appeared in court today to answer to the charges of first degree aggravated domestic assault, second degree aggravated domestic assault, aggravated assault with a weapon, interference with access to emergency services, reckless endangerment, and cruelty to a child. PEACHAM — The search for a missing woman from Derby ended tragically today, after police say she was found deceased. Cecile Aubin, also known as Cecile LaClair, was located in the town of Peacham. Police have not released much information, but say her death is not suspicious at this time. Authorities say the cause and manner of her death is pending an autopsy. It was reported that Aubin left a residence on Pine Hill Road in Derby sometime around 7:30 p.m. on Thursday, February 21. She was last seen leaving the residence in her orange Subaru Impreza. Police say there is no more information available at this time. NEWPORT – The Northeast Kingdom Young Professionals Network has launched a number of new initiatives and hosted a number of successful events this past year, significantly increasing the numbers of its organization region-wide. The board reflects the geographic diversity of the region, with Maire Folan, the program manager of the Green Mountain Farm-to-School office in Newport, serving as committee chair. Patrick Sodums, the YPN vice chair, brings a hospitality background to the group, as he works as the conference and corporate sales manager of the Burke Mountain Hotel & Conference Center in East Burke. Rounding out the board is Sarah Chadburn, the group’s treasurer, who serves as a credit analyst at Community National Bank in Newport. The group has held successful social events, or mixers, to bring people together. It hopes to soon roll out some new programs that will welcome new folks to the area and provide more leadership opportunities. The main purpose of the group is to serve the needs of young professionals, employees, leaders, and entrepreneurs of the tri-county region, who are hoping to find networking and social opportunities with others in their area. 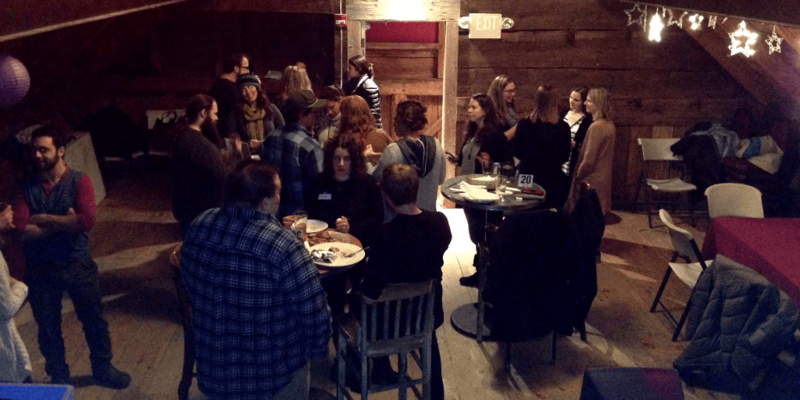 In the past two years, the NEK YPN has sponsored a number of events in the Northeast Kingdom and partnered with similar groups in northern New Hampshire in an attempt to reach out to more young professionals throughout the North Country. Such meetings have not only allowed more professionals to network with each other but also helped the committee determine what the needs of young professionals are in the Kingdom. DERBY — Police are looking for a woman from Derby that went missing last week. 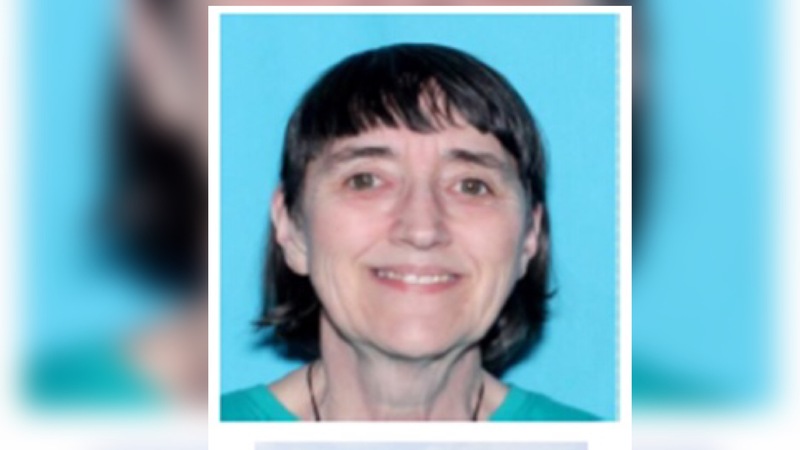 Cecile Aubin, also known as Cecile LaClair, left a residence on Pine Hill Road in Derby sometime around 7:30 p.m. on Thursday, February 21. It was reported that Cecile has not reached out to any family members, which is highly unusual for this long. 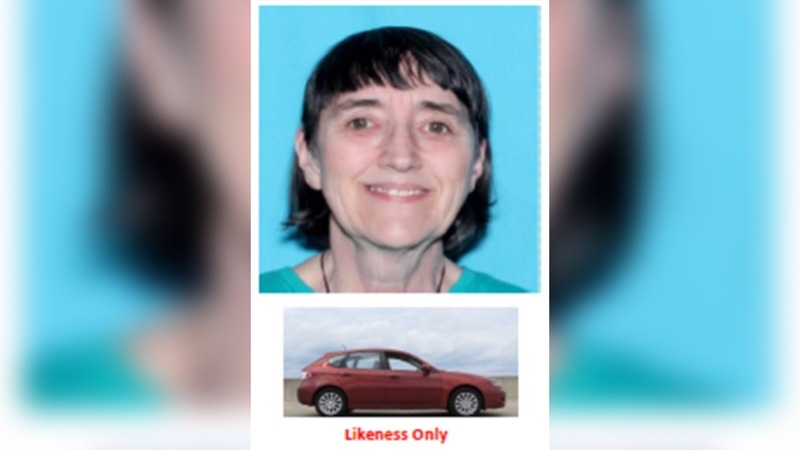 She was last seen leaving the residence in her 2010 orange Subaru Impreza, with Vermont registration FTB220. The vehicle is registered to Cecile. She is described as a white female, 5’6″, 120 lbs, hazel eyes with black shoulder length hair. 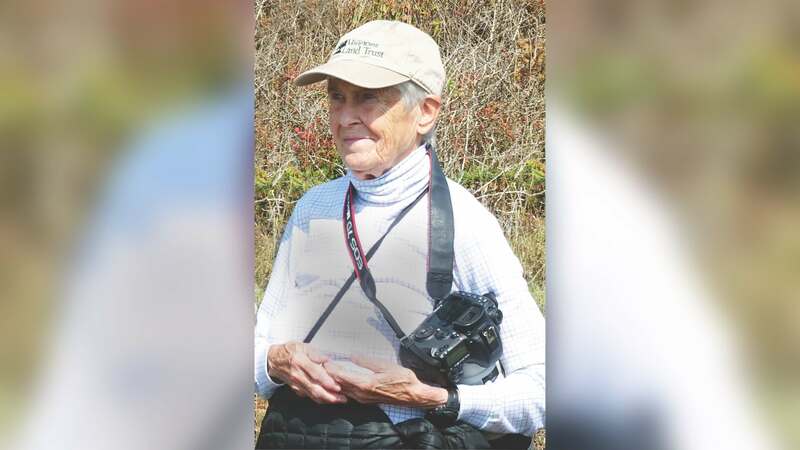 Police are asking anyone with any information about her whereabouts or the location of her vehicle to call 802-334-8881. 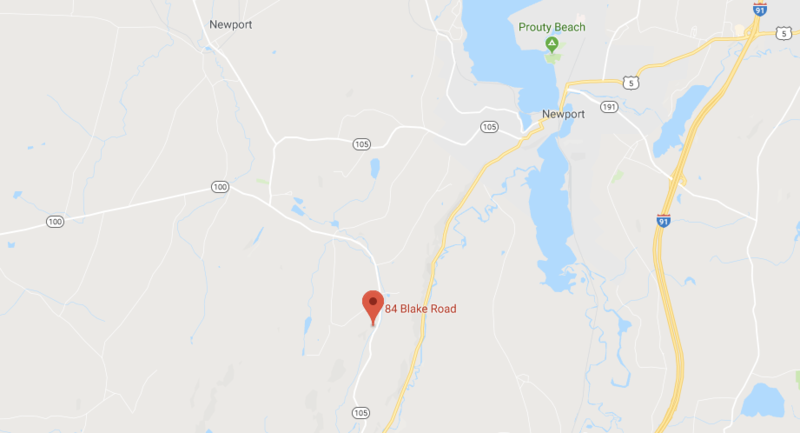 COVENTRY — The Newport City Fire Department responded to a structure fire in Coventry this morning. A large, two-story barn at 862 Heermanville Road was fully engulfed in flames at around 9:20 a.m. The barn was no longer in use as a dairy barn and used primarily for storage. It was completely destroyed by the fire, however, no person or animal was injured. Newport City Fire Chief Jamie Leclair contacted authorities to request assistance with an origin and cause investigation. An investigation was initiated and initial investigation efforts suggest that the fire appears to be electrical in nature and non-suspicious. First witnesses on scene noticed the fire in the southwest corner of the building. Anyone that may have witnessed the fire is asked to contact Detective Sgt Michael LaCourse at 802-334-8881. 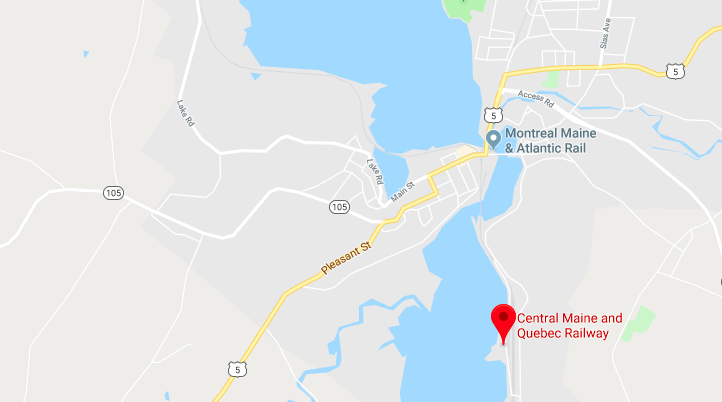 NEWPORT — Central Maine & Quebec Railway, owner and operator of a railroad maintenance facility in Newport, was fined $12,000 for improperly managing hazardous materials and releasing hazardous materials to the environment. During a May 2018 compliance inspection, DEC personnel found absorbent materials contaminated with petroleum in open, unmarked containers, at its Glen Road facility and railyard. DEC officials also discovered petroleum in the soil, indicating that petroleum from railway maintenance activities had been released onto the ground. The company was also keeping unidentified hazardous waste in a service building at the facility. Hazardous waste contains dangerous chemicals. These chemicals can harm public health and the environment. Following the inspection, DEC directed the company to clean up contaminated soils and implement proper storage and labeling practices for all hazardous materials on the property. Central Maine & Quebec Railway US Inc. completed a remediation effort in July 2018 that removed over 10 tons of oil-contaminated soil and hazardous materials from the property. The company also agreed to pay a $12,000 fine for the violations. 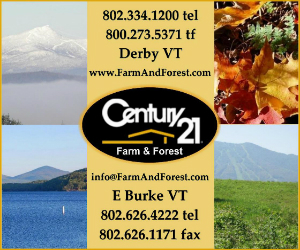 The Environmental Division of the Vermont Superior Court approved the agreement between DEC and the company in an order dated February 15, 2019. NEWPORT — Orleans County Conservation District, in cooperation with Natural Resources Conservation Service, is hosting a meeting to receive input from the public and our partners regarding natural resource priorities in the area. NRCS administers several programs funded through the Federal Farm Bill. These programs are designed to assist farmers, forest owners, and other landowners implement projects that benefit soil health, water quality, wildlife habitat, and other natural resource concerns. The meeting will be held on Friday, March 15, from 11:30 a.m. – 1:30 p.m. at the USDA Service Center Conference Room at 59 Waterfront Plaza in Newport. The public is welcome and strongly encouraged to attend this meeting. Organizers ask that anyone interested RSVP by March 8. To RSVP, or for further information, contact the Orleans Conservation District at 802-334-6090 x 7008. 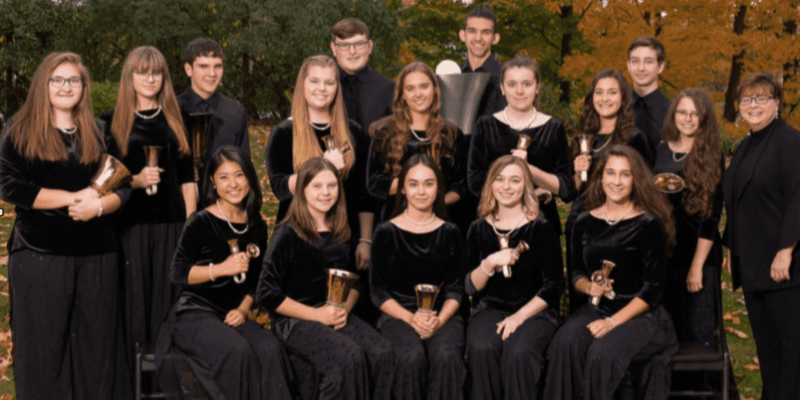 NEWPORT — The Bronze Ambassadors of the United Christian Academy in Newport are headed south for a series of performances. Now in its twenty-second year of community service and music performance throughout the country, the ensemble will travel to central Florida from February 26 through March 5. During the week-long tour, the Ambassadors will visit a prison for teens in Gainesville, an orphanage in Lakeland, a children’s museum in Tampa, and a children’s hospital in Orlando. They will also visit a church in Melbourne, where they will participate in a Catholic mass. Over the years they have rung at national venues in New York and Washington D.C. and frequently perform locally at hospitals and churches. NEWPORT — This weekend, 85 winter swimmers supported by 35 volunteers, will be competing in a two-lane, 25-meter pool cut in the ice on Lake Memphremagog. Swimmers are traveling from all over the United States for the event, as well as internationally from South Africa, Scotland, Spain, and Quebec. 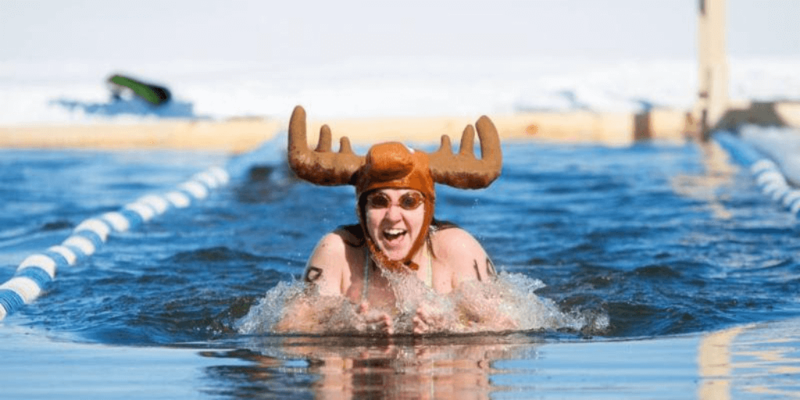 They will be swimming 25-meter, 50-meter, 100-meter, and 200-meter events, starting with a fiercely competitive 25-meter “Hat Competition,” starting at 9:30 a.m.
Newport offers the only 25-meter, two-lane winter swim pool cut in the ice, in all of North America. The pool is cut by Michael Booth and Josh McCoy. 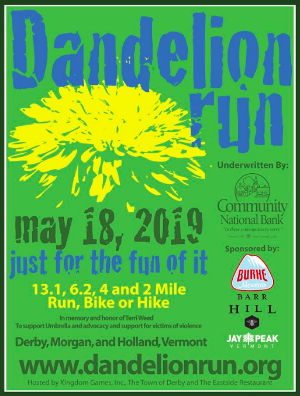 Four youth will be competing, including Margaret Rivard, of Springfield, NH, age 11, her older sister Vera Rivard, age 15, Esme Kimber, age 12, of East Corinth, and Denis Graham, age 17, of Verona, WI. On the other end of the spectrum are two septuagenarians, Ginny Peck, 73, of North Campton, NH, and Kathleen McDonnell, 71, of Toronto, ON. There are 10 others in their 60s taking part in the swim. Approximately 35 volunteers will be supporting the weekend event, some traveling from Maryland, Quebec City, Pennsylvania, Connecticut, Rhode Island, Massachusetts, New Hampshire, and Magog. Cutting of the pool will begin on Wednesday. A ribbon cutting and opening ceremony with potato gun salute will take place at 3:00 p.m. on Friday. The first swim starts at 9:30 a.m.
Spectators are welcome to come out and watch these remarkable swimmers. 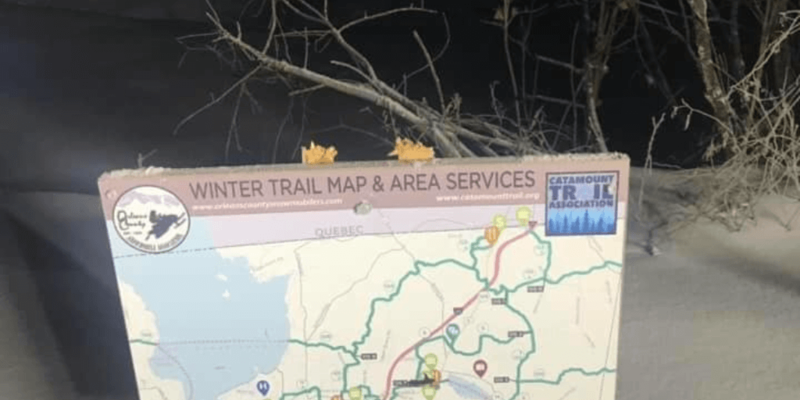 The Winter Swim Festival is organized by Kingdom Games which holds over 20 days of highly acclaimed running, biking, and swimming events in the Northeast Kingdom of Vermont and the Eastern Townships of Quebec. 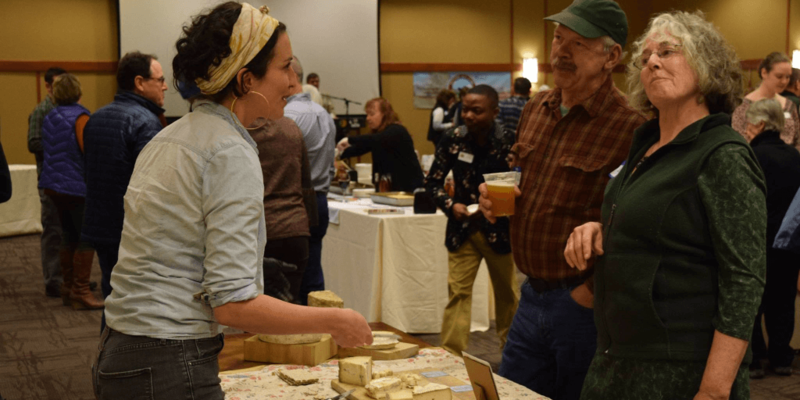 NEWPORT — Last week, district manager Sarah Damsell and Land Treatment and Nutrient Management Specialist Emily Irwin attended the University of Vermont’s first Industrial Hemp Conference. The 2018 Farm Bill defined hemp as an agricultural commodity and removed it from the list of controlled substances. Each state will eventually be required to submit a plan to monitor and regulate the production of hemp. Hemp and marijuana are different varieties of the same species, Cannabis sativa L.
To be considered hemp, the crop must contain less than 0.3% THC, the psychoactive component of the cannabis plant. Hemp can be grown for CBD oil, a cannabinol found in hemp and typically used in health supplements, fiber, or seed. CBD has several purported health benefits, including relief from inflammation, pain, and seizures. Many agricultural producers in Orleans County see industrial hemp as a new market opportunity. 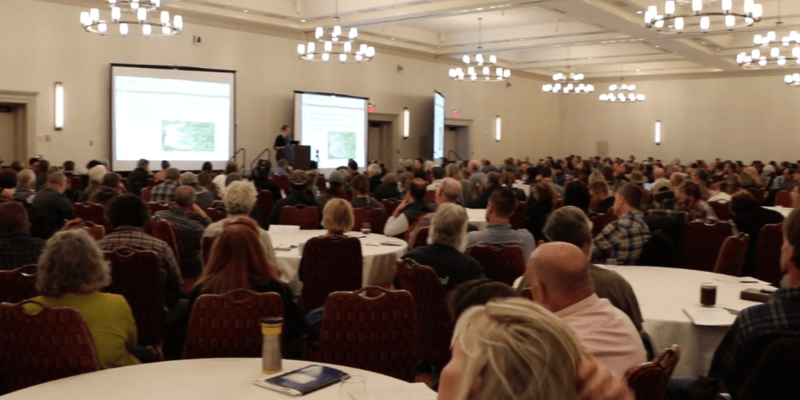 The conference was geared towards growers, and sessions focused on topics such as breeding and selection of CBD hemp, pest management, and fertility management. To grow hemp for high-value CBD production, the hemp plant must be managed as a specialty crop, and given the nutrients and attention it needs to thrive. Conference sessions also covered other emerging markets for hemp products, including fiber and grain. There were several representatives present at the conference from state and federal agencies. Growers wishing to cultivate or process hemp must register with the Vermont Agency of Agriculture, Food, and Markets, and provide appropriate maps, GPS locations, and applicable fees. More information on the registration process, as well as instructions for how to register online, can be found at http://www.agriculture.vermont.gov/public-health-agricultural-resource-management-division/hemp-program. There are also federal cost-share programs available to farmers through the Natural Resources Conservation Service (NRCS), including funding available through NRCS for building seasonal high tunnels. In terms of risk coverage for hemp, the Farm Services Agency (FSA) does not yet have the guidance or authority to apply current FSA programs to hemp. However, interested growers should stay in touch their local FSA and NRCS representatives, as guidance is still changing. Vermont Organic Farmers, the certifying arm of the Northeast Organic Farmers Association in Vermont, can certify industrial hemp that is used exclusively for industrial purposes, including fiber and seed. Hemp oil, consisting of stalk, leaf, seed, or hemp meal intended for human or livestock consumption, cannot be certified organic. The Orleans County Natural Resources Conservation District will be holding an informational workshop in the next few months that will cover the ins and outs of growing industrial hemp. 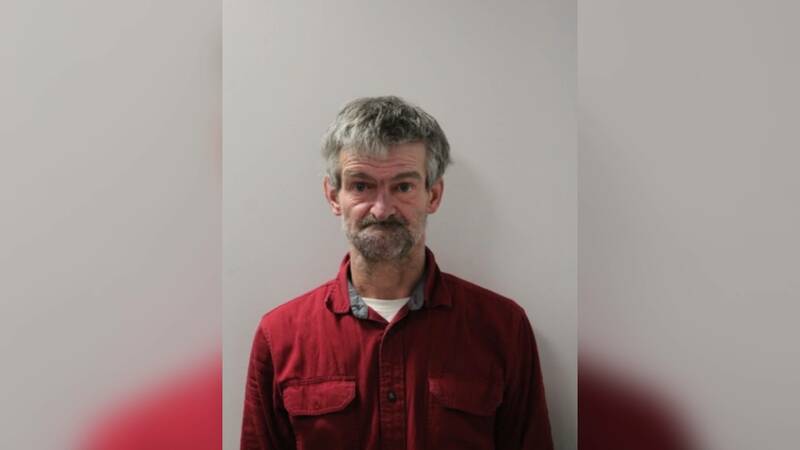 BARTON — Police say that a 60-year-old man from Barton was charged with DUI after a two-vehicle crash on Sunday sent a man to the hospital. At around 8:00 p.m. rescue workers were notified of the crash that occurred on US Route 5 near the intersection of Kinsey Road, in Barton. Police say Ed Seadale exhibited signs of intoxication and was ultimately arrested and processed for DUI. 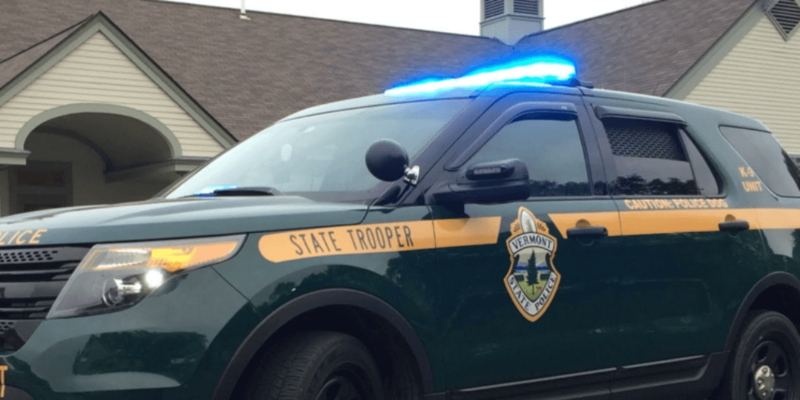 Roger Pray, 80, of Orleans, was the driver in the second vehicle and was immediately transported to North Country Hospital for treatment for minor injuries. According to the police report, Seadale was traveling south and Pray was traveling northbound. “Evidence at the scene indicated Seadale operated his vehicle left of the centerline and collided with Pray in the oncoming lane,” a statement issued by Sgt. Andrew Jensen reads. Both vehicles were unable to be driven from the scene. Barton/Orleans Fire Department, as well as Orleans EMS, assisted at the scene. The forum is open to the public to attend, and will be broadcast live on local radio station WIKE 103.1 FM / 1490 AM and recorded for future broadcast on community accesses cable. The forum will be moderated by chamber president Bruce James. Five people are running for various top-level city offices including Mayor and City Council. 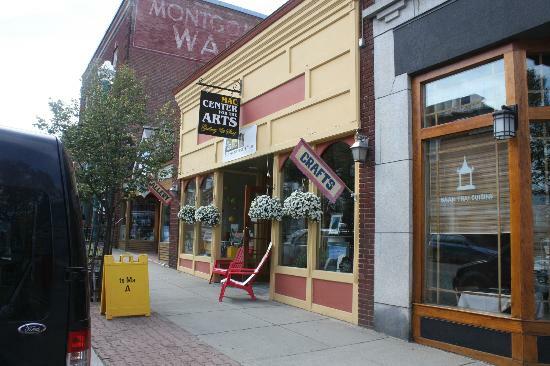 In the race for City Mayor are Paul Monette, Dan Ross, and John Wilson. Running for City Council are James Merriam, Melissa Pettersson, Dan Ross, and John Wilson. The top two vote-getters for the City Council will be elected. Ross and Wilson are running for both mayor and city council and have said if they are elected mayor, they will turn back the council position, which would then be filled by appointment or special election. Many people think Newport City is as at a crossroads, with its future in the balance. 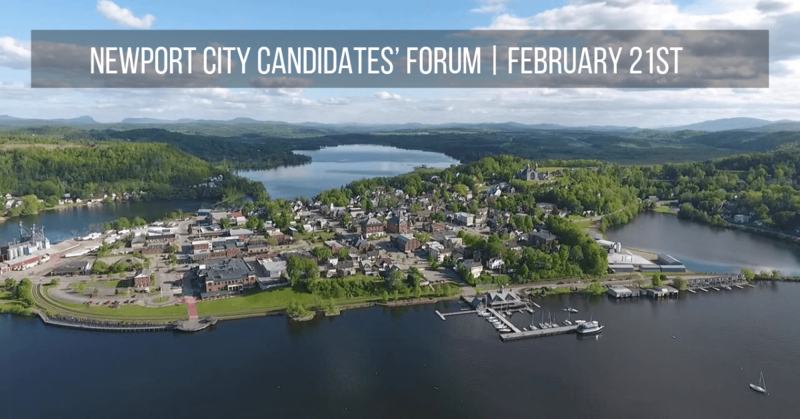 Questions over ownership and future of the boardwalk along the lake, water quality issues for Lake Memphremagog, what steps the city could take, if any, to improve the downtown economic climate, growing the city’s grand list, and the ever-present tax issues are some of the questions expected to be presented. The forum will be held on the second floor of the Goodrich Library and is open to the public to attend. NEWPORT — As the Eli Goss Memorial Ice Fishing Tournament enters its ninth year, the tournament has seen a substantial increase in fisherman interest and a record number of area businesses stepping up as sponsors. The 2019 tournament will be held February 15-17 on Seymour Lake, Echo Lake, and Lake Memphremagog. Registration will be at the Public Fishing Access in Morgan. Fishing begins at 7:33 a.m. Friday and ends at 1:33 p.m. Sunday. The closing ceremony, tournament games, silent auction, and raffles will be at 2:33 p.m. on Sunday. 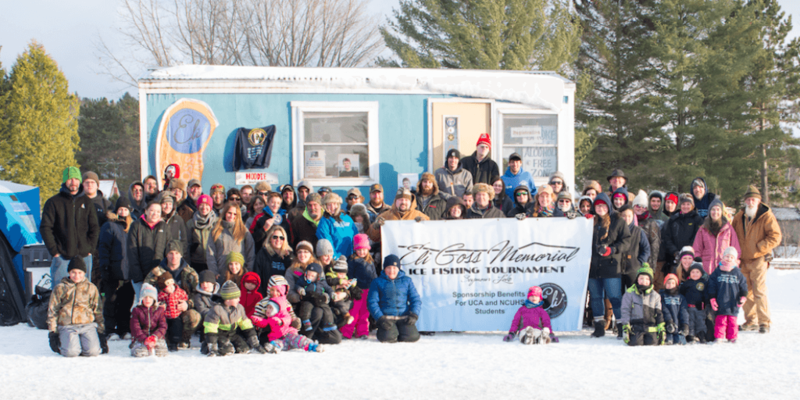 A $15 donation to the Eli Goss Memorial Scholarship Fund will get you into the competition with a chance to win a custom designed ice shack donated and built by Limlaw Family and Friends. Additional tickets will be sold at the registration area. Awards include a cash prize for first place along with Eli Trophy Bomber Hats and several prizes donated by local businesses for 1st, 2nd and 3rd place fish from each lake. There will be separate categories and prizes for youth and pike. A raffle and silent auction will again be held, with all proceeds going directly to student scholarships. The Eli Scholarship Fund is also collecting bottles and cans for their annual bottle drive. Complimentary hot food will be offered to participants each day at the registration area, compliments of the Eli Fund. Community support has rallied behind this year’s tournament with 50 local sponsors backing the event. Official tournament sweatshirts are on sale now and will contribute in large part to scholarship funds. In 2018, The Eli Goss Memorial Fund decided to expand its tournament to include Lake Memphremagog in attempts to enhance the competition and increase attendance. The result was an unprecedented turnout, allowing The Eli Fund to increase the amount of individual scholarship awarded to 10 Graduates of NCUHS and UCA in memory of Eli. Since 2011, the Eli fund has awarded 48 Scholarships, totaling over $29,750.00 to graduates of UCA and NCUHS. The Eli Goss Memorial Scholarship Fund has a mission to expand scholarship opportunities to include students who did the work while balancing academics, sports, jobs, friends, and family. They recognize students who are involved in life, courageous in their attempts and caring in their relationships. With any donation of $40.00 or more, you can receive your own Eli Goss Memorial Ice Fishing Tournament Hoodie. Visit www.EliGossMemorialFund.com and www.Facebook.com/EliGossIceFishing for more information. 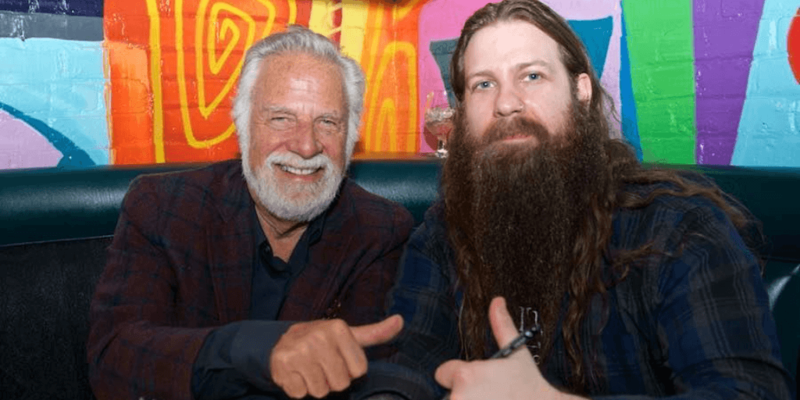 2018’s guest judges, Jonathan Goldsmith, and 2017 Best Beard in Vermont and Wish Dad, Bryan Sturge. NEWPORT — A truly Vermont-style fundraiser is back with the Third Annual Vermont Beardies, the contest to find the best beard in Vermont. 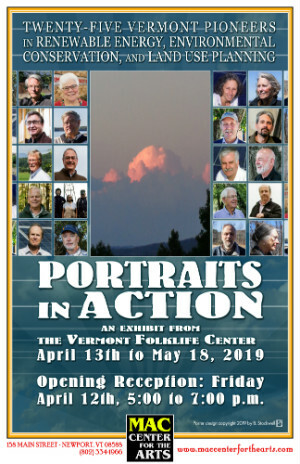 Bearded Vermonters are invited to enter their magnificent scruff and encourage their friends to support Make-A-Wish Vermont through social media appeals. Contestants will compete online in three categories, Urban, Freestyle, and Backwoods. The contest will culminate with an exciting evening to name the winner featuring celebrity judges and fun contests. In order to participate, bearded contestants must pre-register now at www.vermontbeardies.com. The top beards and fundraisers from the online portion of the contest will be invited to participate in a series of in-person contests to judge the majesty of their beards on March 16th at ArtsRiot in Burlington. Fresh off his Super Bowl ad, the judging panel will include Jonathan Goldsmith, best known as Dos Equis’ original Most Interesting Man In The World. While promising to be a night of awesome beards, crazy contests, and tons of laughs, the Vermont Beardies is being held to raise much-needed funding for Make-A-Wish Vermont. The goal of the event is to fund wishes for three children in Vermont facing critical illnesses. Visit www.vermontbeardies.com to enter your beard and invite your friends to support your rise to the top of the 2019 Vermont Beardies. EAST CHARLESTON — The NorthWoods Stewardship Center has begun hiring local conservation crew leaders and members for the 2019 field season. The NorthWoods Stewardship Center, now in its 30th year of operation, runs youth conservation crews in partnership with US Fish & Wildlife refuges in six states, and hires 2-3 crews locally, working on trail and watershed improvement projects on public and private lands throughout the Northeast Kingdom. Vermont crews will be based at the Silvio O. Conte Fish & Wildlife Refuge, Nulhegan Basin Division in Brunswick and at the NorthWoods Stewardship Center home campus in East Charleston. Projects vary by season and refuge but can include the building or improvement of public access trails, habitat improvement, and wildlife monitoring. Last year, crews at the Nulhegan USFWS Refuge installed 11 bog bridges on the Mooseway Trail and constructed 2.5 miles of new trail from the Lewis Pond Overlook to the summit of Gore Mountain. Local NorthWoods crews completed a Universal Access Trail at Moose Bog and Sentinel Rock and cut over 6 miles of new trail over the Bluff Ridge. Crew leaders and members aged 15 through 20-years-old are hired to work 40 hours per week for 6-8 weeks from June through August. 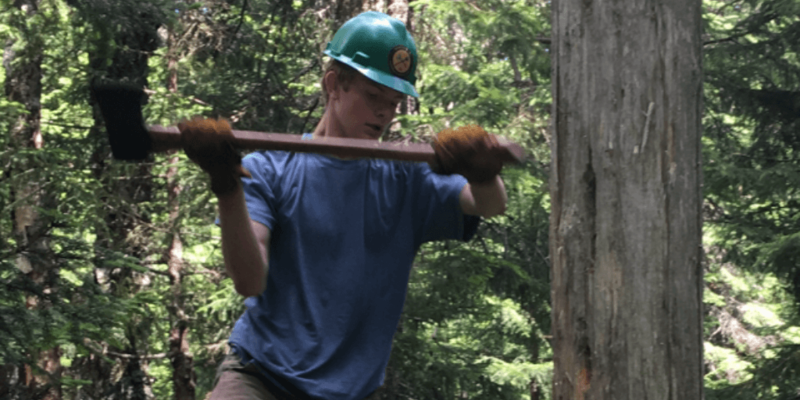 “This is a great opportunity for local youth interested in environmental conservation to be paid to gain training and hands-on experience in the field,” said NorthWoods Conservation Corps Field Coordinator, Dusty May. Many of the alumni consider their work on the crews to be some of the most rewarding and influential work experiences of their teenage years. Hiring for local crews opened in January and continues through April. Interested applicants should visit northwoodscenter.org to learn more and apply, or contact corps@northwoodscenter.org, or 802-723-6551×304. Photo caption: 2018 Backcountry Crew member Tony Barnett clearing trail on the Bluff Ridge. 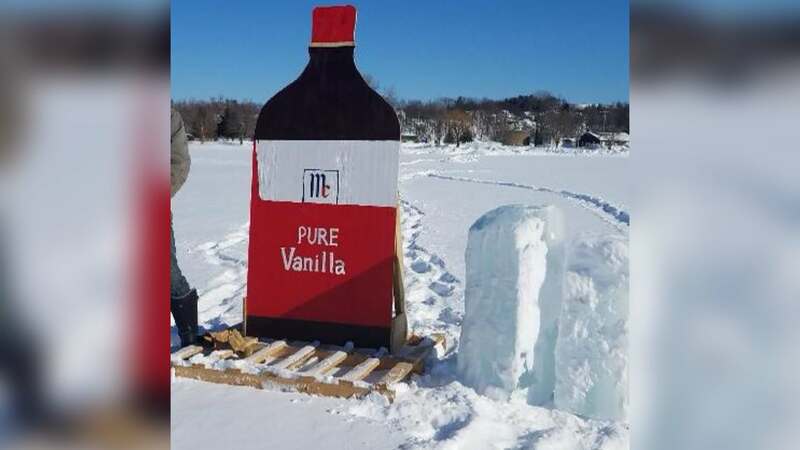 NEWPORT — A bottle of pure vanilla extract next to a few blocks of ice sits waiting on Lake Memphremagog. Get it? Vanilla Ice. To celebrate this time-honored tradition, and to make things a little more interesting while we wait, Newport Parks & Recreation runs the annual contest for residents and visitors on Lake Memphremagog. Each year a weighted mascot is placed in the bay at ​Gardner Memorial Park​ attached to a time clock. The mascot for this year’s “ICE OUT” content is the work of Newport Parks foreman Mac McKenny. The facade can be seen from the Causeway bridge and stands steadfast through snowstorms, wind and rain until the ice beneath finally gives way to the early warmth of spring. When the mascot drops, the Ice Out clock stops recording the official moment that the ice is out in Newport. People keep pretty close tabs on the facade as they pass the Causeway. “It gives the community something to look for on the lake and they get a kick out of it,” Jessica Booth, Director of Parks & Recreation for the City of Newport, said. Booth and McKenny say they’re always inundated with calls and emails as soon as the mascot goes under. 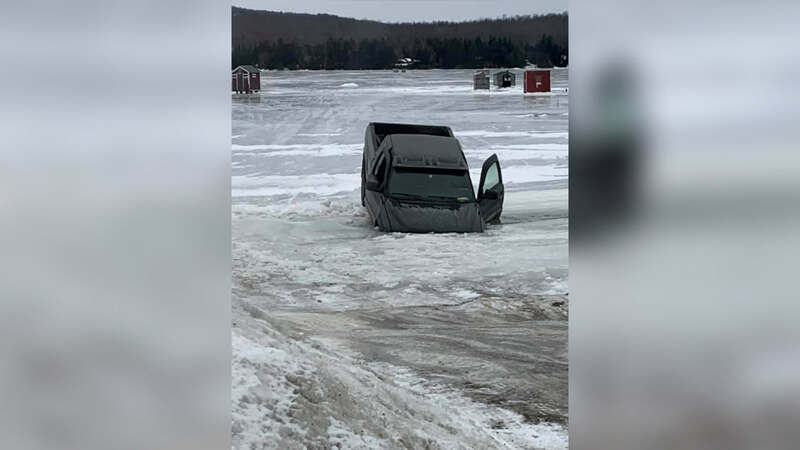 When the ice finally does go out on Lake Memphremagog, the news is always welcome to one lucky contestant who entered the closest prediction in the annual contest. The nearest prediction, without going past, to the actual date and time wins 50 percent of the contest pool. The pool usually totals about $500, depending on ticket sales. The other half of Ice Out proceeds will benefit the Gardner Memorial Park ​Playground & Splashp​ad Project this year. Memphremagog Ice Out tickets can be purchased at Little G’s Deli, Hoagies, Jimmy Kwik, Westside Market, East Main General or the Parks & Recreation office. Predictions can be submitted online too at NewportRecreation.org/ICEOUT. 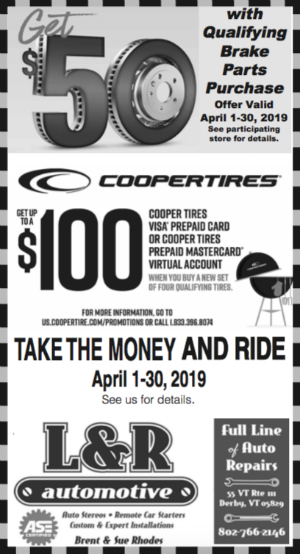 Deadline to submit your guess is Monday, April 1, 2019, or when the ice goes out, whichever comes first. 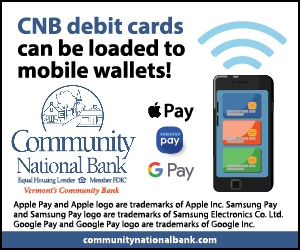 For more information, call Newport Parks & Recreation at 802-334-6345. 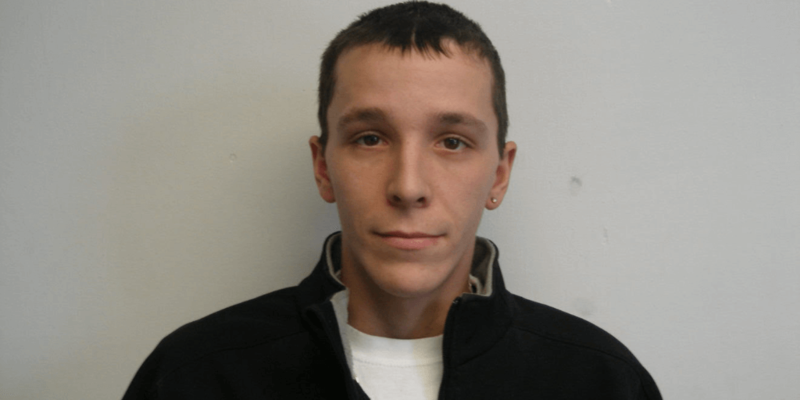 DERBY — State Police are investigating a series of thefts that occurred along a local snowmobile trail. Over the weekend someone stole approximately six solar lights along a trail in Derby. The solar lights were attached to snowmobile intersection signs and were ripped off. The total loss is estimated to be $165. These lights were purchased by the Derby Driftduster Snowmobile Club to assist night riders at intersections with lighting. Anyone with any information on these thefts is asked to contact Sgt. Sean Selby of the Vermont State Police. The lights were only taken in the Derby area and intersections. The center will open February 4. 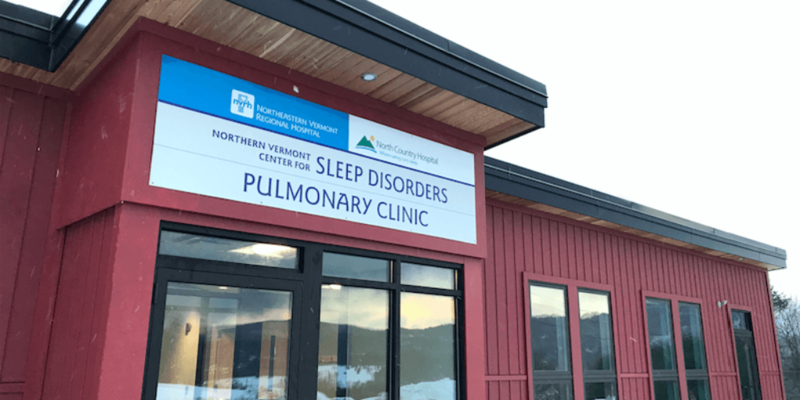 The new clinic, which offers the latest in comprehensive diagnostics and treatment of sleep-related conditions, is conveniently located off I-91 (Exit 22) at 468 Hospital Drive, St. Johnsbury. The joint venture between NVRH and NCH currently has two locations – one in Newport, at North Country Hospital, which will remain open, and one on the NVRH campus, which will transition to the new clinic location in St. Johnsbury. The new clinic features four sleep rooms and four treatment rooms. Each sleep room is equipped with a bed, television, adjustable lighting, individual climate control, and other features. It is staffed and managed by Medical Director Veronika Jedlovszky MD, Weili Gray, MD, and Danielle Speer, ANP, as well as technicians to conduct the night time studies. “The new clinic will provide more comprehensive and timely care for both consults and sleep studies for patients throughout the region,” Jedlovszky said. The center evaluates for and treats the full spectrum of sleep disorders in adults and children, including obstructive sleep apnea, central sleep apnea, nocturnal hypoventilation, insomnia, restless leg syndrome, periodic limb movement disorder, narcolepsy, other hypersomnia conditions, REM behavioral disorder, and other parasomnias. Services include sleep consultation for adult and pediatric patients, sleep consultation for CDL exam, positive airway pressure therapy, CPAP, BIPAP, ASV, and other modes, oral appliance therapy, sleep hygiene education, cognitive behavioral therapy for insomnia and medication management of various sleep disorders. Tests available through the center include adult and pediatric diagnostic polysomnogram, adult and pediatric titration polysomnogram, multiple sleep latency test (MSLT), and home sleep study. Sleep studies are available both weeknights and weekends. Patients are encouraged to talk with their primary care provider about a referral to the sleep clinic and may also call 802-748-7901 with questions. 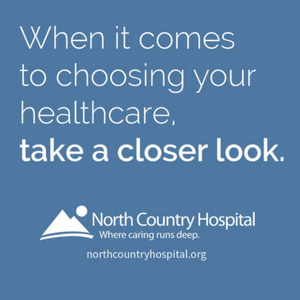 For more information visit www.northcountryhospital.org or www.nvrh.org. An official ribbon-cutting and community open house will take place in late spring 2019.